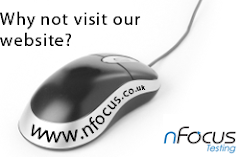 nFocus Blog: ALM- an opportunity for testing? nFocus' very own Sam Clarke will be speaking at the Software Testing Club Meetup being held at Birmingham Science Park Aston on Wednesday 25 July 2012. Application Lifecycle Management is increasingly seen as delivering significant benefits to a business, by enabling governance throughout the life of a business application from conception through application retirement. ALM is independent of development methodologies and scales according to the size of the project. This short workshop delivered by Sam Clarke from nFocus will look at how the testing and quality assurance profession can step up to the challenges of working in this environment, by being an integral part of the governance process driving quality throughout the application lifecycle. For more information visit the Meetup page here.